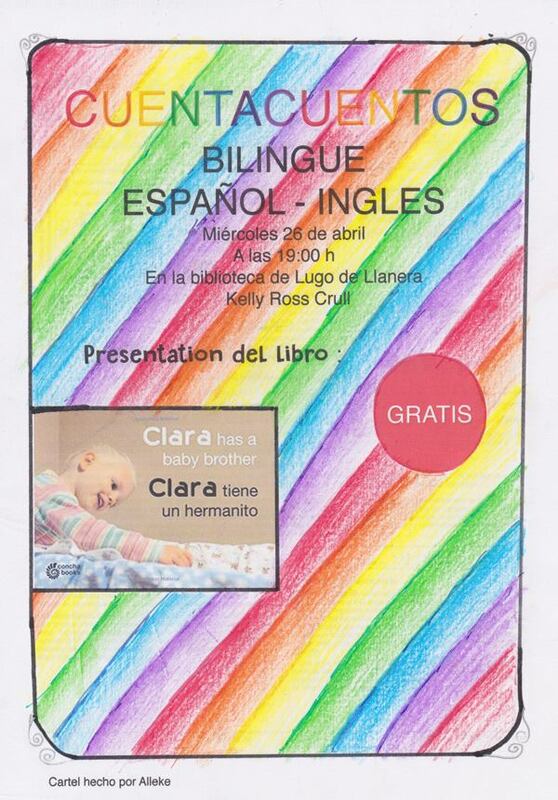 I’ll be doing a bilingual (English and Spanish) library visit this Wednesday at the library in Lugo de Llanera. I’ll be reading Clara Has a Baby Brother / Clara tiene un hermanito. Thanks to my daughter for designing the poster!